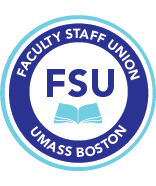 This essay is a personal recollection rather than a fully realized history of the Faculty-Staff Union. It does not address the role and concerns of part-time faculty, who played a major role in creating the FSU, or the library staff who were also involved from the beginning of the campaign. Instead it is written from the point of view of someone who was a junior faculty member from 1969 to 1975 and for whom the union seemed important primarily because of its potential in defending the principle of faculty primary responsibility. UMASS/BOSTON in the years after its founding in 1965 was a very different place from the UMB of today. The only college in the university, Arts and Sciences, was divided into humanities, social science, natural science, and math divisions, and the division heads as well as the dean were also faculty members with roots in their departments of origin. These “founding fathers” were knit together by long-standing friendships and working relations. My impression when arriving on the campus was that the faculty was divided into two sectors, a small, cohesive corps of senior professors stationed in the departments and the administration on the one side and a rapidly growing mass of junior faculty on the other. The old guard developed a CAS curriculum around a substantial core of courses required of all undergraduates (for example, the Western Civilization class enrolled over 1,000 students every semester), and the hiring of enough instructors to cover all those sections was carried on in a rushed, improvisatory fashion. There were no year-long searches, no massive piles of applications, no winnowing of the pool to the applicants deserving of interviews, no short lists, no day-long campus visits, with prepared talks, meetings with students, and awkward lunches and dinners with search committees and other interested professors. Instead department heads called trusted associates in feeder graduate programs (Harvard and other Boston area universities in particular), hastily interviewed candidates, and made choices in consultation with senior colleagues. I got my job when a graduate-school friend who was already teaching Western Civ., told me the school was recruiting. I placed a call to the department, was invited in for a 20-minute interview, and offered a position a few days later. In those first years, it seems from available evidence that the tenure process began in the spring of the candidate’s sixth year. After consulting with the head of their division, department chairs invited letters of recommendation from selected colleagues, then made a decision, which was quickly confirmed by the division head, the dean, and the Board of Trustees. There were no outside referees, no protocols such as the later grouping of evidence on scholarship, teaching, and service, and candidates were not invited to present dossiers. Some departments lacked formally established personnel committees. Instead decisions were made by ad hoc groups of department members, plus the division head and the dean. It was an informal arrangement, and in 1968 Richard McCleary of the English Department did not even know he was up for tenure until being told that his “application” had been denied. It was UMB’s first negative tenure decision, and when McCleary protested, an extended debate ensued, with some colleagues arguing that he had been treated unfairly. Department members, who had first been unfavorably disposed, unanimously supported him when the case was reopened in the following fall, but Dean Paul Gagnon (a senior professor from the History Department) stuck to his original position and the denial of tenure stood. McCleary’s defenders borrowed from an 1966 American Association of University Professors (AAUP) statement which argued that “the faculty has primary responsibility” in tenure and other personnel cases and that its decisions could be denied by “the highest institutional authority” only “in rare instances and for compelling reasons which should be stated in detail.” Dean Gagnon responded that “the institution has no obligation whatsoever to reveal or defend the reasons for denial of tenure.” Gagnon was a dedicated teacher, active scholar, and outspoken defender of UMB’s educational mission who publicly clashed more than once with the Board of Trustees. He saw himself as part of the faculty rather than as an ally of “the highest institutional authority,” to borrow the AAUP term. Nonetheless his response on the McCleary case drew a line between faculty primary responsibility on the once side and the prerogatives of the administration on the other. The struggle between the faculty and the administration — the emerging sharp distinction between the two — and the inability of the Tenure and Grievance Committee and other instruments within the domain of governance to protect faculty primary responsibility were to lead to the emergence of the Faculty-Staff Union in the late 1970s. The vague and arbitrary tenure process of the early years was bound to crumble as large numbers of junior professors worked their way up the ladder toward their tenure decision years. In 1965-1968, there were only eight candidates per year, in 1968-1972, there were 26 per year, in 1972-1976, there were 32 per year. Meanwhile administrators began to worry that within a short period of time the university would be stuck with a bloc of young tenured faculty, locked into place for the next generation. With this concern in mind, Chancellor Frank Broderick called for a tenure quota in 1971. Some faculty members were also uneasy about high numbers of tenure grants and were beginning to think that departments themselves ought to take the lead in imposing a more stringent policy. They feared that they might not be able to prevent the administration from overturning positive recommendations. Whereas positive department recommendations followed by negative administration decisions would make manifest the erosion of faculty primary responsibility, they reasoned, negative department decisions would be welcomed at higher levels and would sustain the illusion that the principle remained intact. A college-wide faculty committee endorsed the idea of a tenure quota in 1972. This changing state of mind became apparent when departments denied 11 tenure candidates out of 34 in 1972-1973 and 11 more out of 38 in 1973-1974. By 1974, sentiment within departments had changed again. When the administration repeated its call for quotas, now rechristened “parameters,” they did not find much of an audience on campus. One-hundred-eight faculty had been tenured in the 1970-1974 period, and many of these newcomers were less inclined to side with the administration. A kind of departmental patriotism also came into play, since, with the budget freezes of the mid 1970s, it became apparent that the slots of fired faculty would slip out of the grasp of departments forwarding negative recommendations. Meanwhile, junior faculty were now more vigilant and combative. Gone was the 1972-1974 phase when 22 candidates were dismissed and disappeared without a fight. Many younger faculty were now supported by informal “job committees” that brainstormed about ways to put together dossiers. Several of their tactics, such as “personal statements” and bulging files documenting teaching merit were quickly turned into requirements by tenure committees in the following years, thereby inadvertently raising the bar for future candidates. In the short run this more assertive case building put tenure committees on notice that candidates believed in their qualifications and were likely to object if not promoted. The political mood on campus must also be taken into account. Many undergraduates were energized by the multiple protest currents of the 1960s and had demonstrated an impressive capacity for organizing and agitation in the anti-war university strikes of 1970 and 1972 and in other campus campaigns. Important too were the ties they had forged with like-minded younger faculty, many of whom were indistinguishable from them in dress and comportment and who shared their political passions. It was apparent to all that negative personnel decisions had the potential to turn into controversies more explosive than the Faculty Senate debates that had followed on the McCleary firing. For its part, the administration was also gearing up for the coming rounds of tenure cases. College personnel committees came into existence in 1974-1975, their members appointed by the deans and mandated to conduct formal reviews of each case, while the deans themselves, the provost, the chancellor, and the president now also claimed the right to voice an independent opinion. (The provost position was created in 1972, when the College of Liberal Arts was split into two separate colleges and the College of Public and Community Service was created, a division that lasted for four years.) As a result, 1974-1975 was the first time going through the tenure process became a year-long ordeal. In addition, while departments were elaborating their own standards, the administration was also tightening tenure criteria, most notably by demanding two excellents and a strong in scholarship, teaching, and service, a standard first imposed in 1975-1976. The stage was set for the battles of the late 1970s, surely the most tumultuous in the history of faculty-administration relations at UMB. The decisive year, 1974-1975 began with departments positively recommending 23 out of 28 tenure candidates. The CPC vetoed 7 out of these 23, and the deans, the provost, and the chancellor also dissented from peer evaluations in a number of cases. Yet when the returns were in, all of the negative recommendations had not blocked as many candidates as proponents of a tenure quota might have wished. The administrators of that era were either faculty members with distinctive educational philosophies and multiple ties to the rest of the faculty (Knight, Babcock, Steamer, Spaethling); or they were newcomers, like Dean Daisy Tagliacozzo, who hastened to find a constituency once they arrived on campus. Even the relatively isolated Chancellor Golino, who later was to lose a vote of confidence among the faculty, had a recognizable following on behalf of which he was ready to contend with other administrators. The first loyalties of these educators were to pedagogical principles and to faculty allies who shared their aspirations, rather than to the administration itself. Instead of acting in concert, they often publicly disagreed with each other as well as with departments. Candidates who were positively recommended by their peers, then denied by one echelon, often received support from the next, with the result that most could demonstrate some significant support from the bureaucracy as well as from the faculty by the time their dossiers reached the president’s office. Faced with this situation, President Wood tried in the spring of 1975 to exercise his own veto against a number of candidates. In four instances, he delayed recommending tenure until well into the summer. In another four, he put up a more prolonged resistance. A language instructor was denied by both department and administration in 1972-1973, then tried again in 1973-1974, received a 2-2 vote at department level, followed by positive recommendations from the dean, provost, and chancellor. The president’s office announced in late summer 1974 that it would not follow suit, the candidate appealed, and the case dragged on through the next year, becoming associated with those of the 1974-1975 cohort. A candidate in the social sciences also had originally been considered in 1972-1973 and had been turned down by both department and administration. He tried again beginning in the fall of 1974, receiving a positive recommendation from the department, a negative from the CPC, a negative that was later switched to a positive from the dean, and a positive from the provost and the chancellor, before being turned down by the president. Another candidate in the social sciences received a 4-3-1 positive vote form his department in the fall of 1974. The CPC and the dean both made negative recommendations, followed by a positive from the chancellor and a negative from the president. A candidate from the sciences was positively recommended by his department. Between 1972 and 1976, the liberal arts at UMB were divided into two separate colleges, while physics and chemistry stood apart in their own “central administration,” directly under the jurisdiction of the provost. The faculty advisory committee formed to review tenure cases for those two departments found against the candidate, but the provost joined the department in making a positive recommendation. The chancellor first voted no, then was persuaded to switch over into the other camp, and the president followed with a negative. By 2010 standards, the details in these cases call attention to disarray at department level, where changes of mind from one year to the next and split votes seemed to invite trouble further along. Divisions within the faculty were again apparent as departments and the CPC often clashed. But the faculty of the mid-1970s, with great vehemence, insisted on the principle that its will, even when made manifest in highly contested tallies, ought to prevail. The fact that the tenure procedure had been transformed into a prolonged ordeal, marked by jarring and seemingly arbitrary reversals from one level to the next, fueled a conviction that candidates were being subjected to cruel and unusual punishment. The year’s tenure cases reached the president’s office in March 1975, and by the end of the month news that they were running into difficulties began to spread. The mood on campus was already tense as a result of a series of initiatives from President Wood, for example, his announcement that full-time professors were to teach three courses per semester rather than two (in UMB’s first decade, the full-time faculty carried a 2-2 load and everyone else carried a 3-3). Also significant, in the words of Seymour Katz of the English Department and chair of the Assembly Personnel Policy Committee, was the unannounced and unexpected arrival toward the end of February of the Ad Hoc Multi-campus personnel Policies Committee’s working draft entitled Academic Personnel Policy of the University of Massachusetts. That document arrived with instructions that the separate campuses complete their review by March 31. The unexpected arrival of that document, together with its impossible deadline, led us to ask each other whether the people who sent us the document were utterly ignorant of UMB’s governance procedures or were deliberately subverting them. The sudden appearance of the “working draft,” which turned out to be the basis for the “Red Book” of 1976, and the disputed tenure cases came together to create an explosive mood on campus. Discontent found expression in the remarkable faculty meeting of April 2, 1975. Suspicious of the “administrative channel” championed by George Goodwin (Politics) and of the Ad Hoc Multi-campus Committee represented by David Landy (Anthropology), some, but not all of the faculty were ready to consider the possibility of forming a union. Speaking for the Junior Faculty association, precursor of the FSU, Keitha Fine (Politics) declared that the junior faculty were increasingly concerned about personnel policies, especially tenure quotas and had concluded that the most powerful option open to the faculty was to build and work for a strong, independent, faculty-based union. By a vote of 188-27-5, the meeting went on to affirm its commitment to the principle that “faculty judgment on personnel actions will be reversed by the administration only in ‘rare’ cases and for ‘compelling reasons to be stated in detail.’” It further specified that “administrative review of personnel matters should deal with the particular interests and reflect the special competence of the administrative level concerned and should as a rule not repeat the professional evaluation made by the faculty.” These affirmations echoed the 1966 AAUP statement of principles that had served as a point of reference for faculty pronouncements on tenure in the early years of UMass/Boston and once again protested against the administration practice of conducting de novo reviews of tenure cases. In a final vote, the administration demanded that the chancellor and the president respond in writing before April 15. In the fall of 1975, the Faculty Committee presented a number of motions for the consideration of their colleagues. Among them was the demand that Trustees of UMass/Boston recognize the principle that faculty recommendations on faculty status will be reversed only in “rare instances” and for “compelling reasons . . . stated in detail.” This principle had been violated in the cases of the four professors denied by President Wood, the Committee argued, and it demanded that Wood and the Board of Trustees grant tenure to all four. A faculty meeting on September 24, 1975, passed the motion on faculty responsibility (tally unrecorded, some 110-120 in attendance). It further moved by a vote of 53-46 to demand action on the four tenure cases by October 20. Members of the Faculty Committee then met with some Board members to try to find a way of resolving the standoff, but without gaining any concessions from the other side. Seemingly united in the spring of 1975, the faculty had not fully thought out the implications of the statement it was making, and its ambivalence emerged strikingly in the fall. When the motion was made to “demand” that the trustees affirm the principle of primary responsibility (September 24), three senior faculty argued instead for the phrase “calls upon.” An amendment to this effect was defeated 60-57. Still troubled, the faculty reopened this issue once more in its meeting of September 29, at which time an amendment was again introduced in favor of “calls upon.” It passed by a vote of 72-38-2, but clearly without resolving the issue. Were the trustees adversaries to be bluntly confronted? Or were they partners in a common endeavor, whose good will should not be recklessly sacrificed? The hesitations over “demanding” satisfaction and the tendency to retreat back to a familiar, though unpromising, approach centered on the University Assembly. The campaigns of 1975 mobilized support on an unprecedented scale and in the end achieved a measure of success. The delayed tenure cases were passed through by the president and the Board of Trustees in the summer of 1975, and outside review committees were formed to consider the cases of two of the four faculty denied by President Wood. These committees sided with the candidates, and as a result one received tenure in 1976 and the other in 1977. Still, this whole episode, persuaded many that primary responsibility would remain vulnerable unless the faculty could find some more powerful way of safeguarding its prerogatives. The campaign to form a faculty-staff union was the beneficiary of this line of thought. Junior faculty and part-time faculty had begun to meet to discuss the idea of a union in the spring of 1974. This group produced a number of position papers in the following summer, then helped organize the Ad Hoc Junior Faculty Association, which in December 1974 unanimously voted to begin a unionization drive (about 50 people were present at that meeting). The union effort received a kind of official, although contested, recognition when it was accorded a place on the agenda of the April 2, 1975, faculty meeting. Union spokespersons figured prominently in the debates that followed and several were members of the Faculty Committee. A vote in April 1975 designated the MTA as bargaining agent for the faculty and staff, and the union won the certification election conducted in the fall of 1976. Unionization seemed to be the logical next step, but the level and strength of its following within the faculty remained to be tested. So did the ties between the UMass/Boston and UMass/Amherst wings of the union, who would have to work together as collective bargaining loomed. The administration was clearly not well disposed, but its resistance and the sorts of tactics it might employ were not yet known. A hazardous path toward union recognition and the first contract lay ahead. The campaign that resulted in the signing of the FSU’s first contract depended on the concerted effort of many faculty and staff, an experience of solidarity that reinforced friendships lasting a lifetime. High points were high indeed, as in the 1978 work stoppage backed by hundreds of students and observed by 80% of the faculty. The objective was to jump start negotiations with the administration that seemed to be going nowhere. For two days the harbor campus took on a carnival-like atmosphere, with songs and chants and marches back and forth across the plaza and triumphant speeches and hugs of relief and joy when it became clear that organizers had succeeded far beyond expectations. But the first contract was still two years away, and in the interim, the union drive turned into an exhausting, ego-shredding ordeal. Activists had volunteered for many assignments including the steering committee and the negotiating team, as FSU contact persons in every department, and as members of committees with responsibility for librarian and part-time faculty issues, grievances, membership, publicity, and liaison with UMass/Amherst. As negotiations dragged on, patience frayed and tempers rose. Increasing numbers of faculty wanted to settle, and MTA staffers and colleagues at UMass/Amherst, where pro-union activists were an embattled minority, warned that intransigence might explode the entire FSU project. Finally, a virtual revolt of the UMB faculty against the Steering Committee, which was holding out for more rights for part time faculty, forced the issue and after a unit-wide vote, the contract was signed in 1980. This “revolt” of the faculty was a terrible blow to the union leadership. We wanted to hold out for more concessions, especially on behalf of part-time faculty, but were outvoted by the majority who were satisfied to have won on the issues of primary responsibility and were willing to drop the “non-tenure track” issues. At that moment, many of us felt an overwhelming sense of defeat. Part-timers, who were well represented in the FSU orbit, were especially disappointed. I remember sitting with one of them as she leafed through the contract and said “After all that work, is this all we got?” Soon after, she moved on with most of the other non-tenure-track faculty who had placed such high hopes in collective bargaining, and many other burned-out activists who withdrew from involvement with the FSU. Union work is not for the faint of heart, and I respect and am grateful to colleagues who have continued to keep the FSU going, and who, contract by contract, have been able to improve benefits and working conditions for tenure stream and tenured faculty and to build in more protections and benefits for non-tenure faculty. With the passage of time, I came to have a more positive feeling about that first contract. If the administration had gotten its way in early phases of negotiation, it would have been free after “consulting” with departments to overturn their tenure recommendations. Later on, the other side came back with new language specifying that administrative overrules on tenure were valid when “reasonable” grounds were cited for such actions. Finally, after further negotiations, the principle of faculty primary responsibility received a more robust endorsement. As the first and all subsequent contracts put it, administrative overturns are admissible “only in exceptional circumstances and with compelling reasons in written detail which shall specifically address the content of that recommendation” (article 11). Many factors explain why in the last 32 years faculty/administration dealings around personnel issues have not been as stormy as they were in the 1965-1980 period. Departments became more skilled at assembling cases on behalf of their candidates, and more sharply defined procedures that progressively raised the bar for achieving tenure at least had the merit of clarifying what was expected. It helped, too, that a number of the truculent junior faculty of the 1970s achieved tenure and then moved on to become department heads, deans, and provosts in the 1980s and 1990s and proved to be more comfortable than their predecessors with collective bargaining protocols. Most of all, the principle of faculty primary responsibility had been institutionalized within the university. Winning article 11 was a signal achievement. Later events confirmed the wisdom of the drive for a union. In 1982, when the State Legislature decided to close down Boston State College, the MTA in collaboration with allies in the State House brokered transfers to other institutions for professors at BSC (including our current Provost Winston Langley, who joined the UMB Political Science Department). It was a demonstration of the vulnerability of everyone in the higher-education sector and of the protective role that unions might play when crisis looms. We live in a political environment marked by weak commitment to the work we do, and a union is a resource we cannot afford to take lightly. Looking back, I conclude that, however partial the gains then achieved, the effort and sacrifice of the 1970s served a worthy purpose.